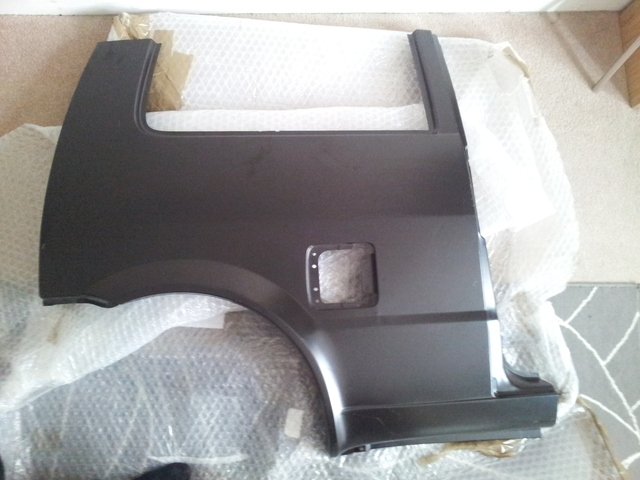 For a little while now I have been on the look out for a replacement rear wheel arch panel, or even a full quarter panel to replaced the damaged section on the car. I had tried the usual people like big Mick at Euro Car Care in Derby and some of the major supplier of car body panels, but unfortunately it appears only Fiat produced full replacement quarter panels and big Mick informed me that due to the age of the Cinquecento they are now discontinued and unavailable. A member on Fiat Forum was in contact with a chap in Poland who was said to have replacement wheel arch panels, but unfortunately these never materialised. Whilst trawling Ebay a couple of weeks ago I came across a Fiat dealer selling a new old stock drivers side full quarter panel for a Cinquecento ! I jumped at the chance and snapped it up straight away. It’s brand new with no damage and is a genuine Fiat part ! I had to pop to the DHL depot today to collect it and couldn’t wait to open it and confirm that it was the real deal. Much to my joy it was as you can see here. What made this even more useful was the fact that it isn’t just a flat panel, but it includes the corner with is slightly bent inwards on the car and my biggest concern. 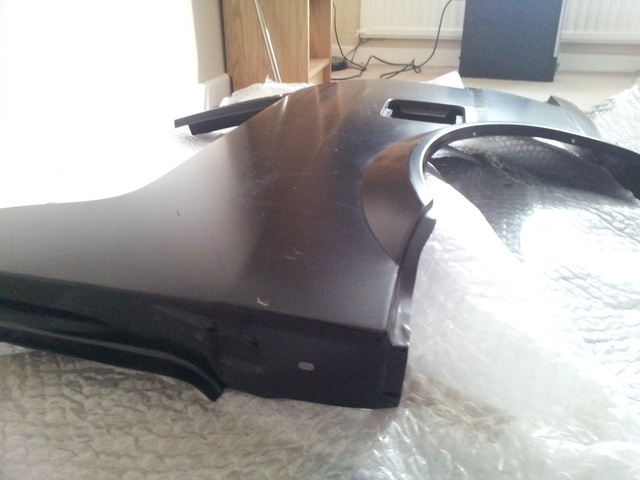 I have yet to get the car to a bodyshop so for all I known they might not even need it, but I would rather have the panel and not need it, then need one and not be able to get hold of anything.